Four Star Sales / About Four Star Sales / John T.L. Jones, Jr.
sires – including Nureyev, Miswaki, and Alleged. Under his direction, Walmac Farm became one of the world’s most prominent stud farms, and its lush, rolling acreage a serious source of racing talent. Four Star traces back in its pedigree to over 25 years of Walmac Farm consignments, such as the ones that yielded back-to-back Breeders’ Cup winners in 2003 and 2004. Walmac’s impressive stallion roster currently comprises three of the most prominent young sires in America, Successful Appeal, Songandaprayer and Bandini. Johnny sold Walmac to his son, John T.L. Jones III, and Robert Trussell in 2005 but remains committed to Walmac, where he is Director Emeritus. Johnny has served numerous industry positions throughout his career. 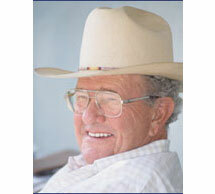 He is a founder of the Breeders’ Cup and continues to serve on its Executive Committee. Johnny is also a Director of Keeneland Association and American Founders Bank.